Changsha, the capital of Central China's Hunan province, became the first Chinese city to be recognized as a UNESCO Creative City in media arts, the UNESCO Creative Cities Network announced in Paris on Nov 1. The UCCN, created in 2004, was established to promote cooperation among cities that have identified creativity as a strategic factor for sustainable urban development. The UCCN covers seven creative fields, namely crafts and folk arts, design, film, gastronomy, literature, music and media arts. The title adds to international recognition for Changsha's efforts in developing the culture, arts, media and creativity industries, according to local officials. "It's a great honor for Changsha to win the title," Changsha Mayor Chen Wenhao said at a news conference on the same day. 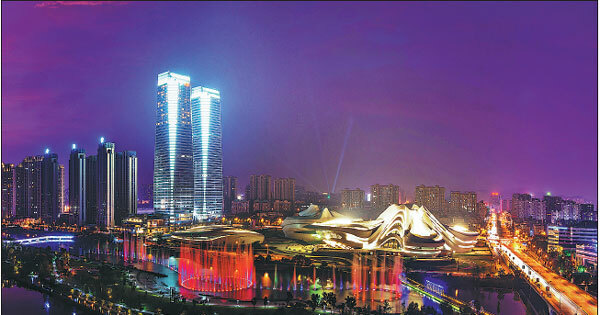 Changsha is one of the famous Chinese cultural and historical cities, with a history of more than 3,000 years. A host of historical relics have been discovered in the city. Landmark discoveries include the Mawangdui Han Dynasty (202 BC-AD 220) tomb, the inscribed bamboo slips unearthed in the Zoumalou area and the square bronze vessel with four rams - a relic of the late Shang Dynasty (1600-1046 BC) - discovered in Ningxiang. These discoveries are regarded as being of great significance in Chinese archaeology circles. In recent years, the city has also been a shining star on the global culture and arts stage. It has hosted a number of international events, including the Changsha International Sculpture Arts Festival, Meixihu International Culture and Arts Week, the Golden Eagle TV Arts Festival, the Orange Island International Photography Show and the annual East Asian City of Culture events. Changsha was selected as the "Capital of East Asian Culture" in 2016 during the East Asian City of Culture campaign - jointly launched by cultural authorities from China, Japan and South Korea. 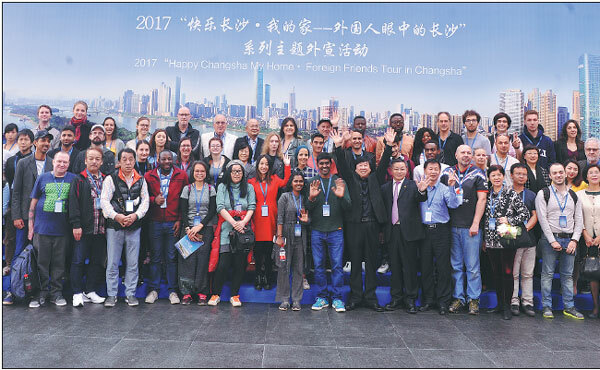 To date, Changsha has organized more than 1,000 international exchange events at home and abroad. Local residents say the rich cultural resources have added to their well-being. 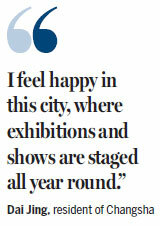 "I feel happy in this city, where exhibitions and shows are staged all year round," said Dai Jing, a local resident. For residents and tourists as well, Changsha has plenty to offer to meet their needs for discovering local history and culture. They can visit museums, meditate at the Yuelu Academy, or go to the countryside to watch folk shows like the Flower-and-Drum Opera. The Hunan Provincial Museum opened to the public on Nov 29 after five years of reconstruction and renovation. On the first days of its re-opening, it welcomed more than 15,000 visitors daily. Relics from the renowned Mawangdui Han Dynasty tomb are on display at the museum. 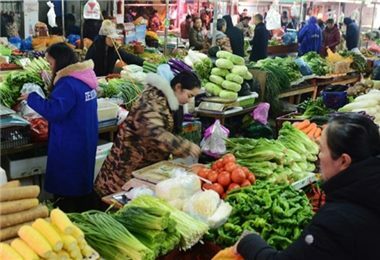 From 2008 to 2017, Changsha was ranked among China's happiest cities for 10 consecutive years. The ranking is made after surveys have been conducted by the National Statistics Bureau and China Central Television. The rich cultural resources have led to a boom in the city's cultural creativity industry. Changsha had more than 12,800 creative cultural companies in 2016, supporting more than 600,000 local jobs. The city is also home to more than 3,000 internet and internet-based new media companies. 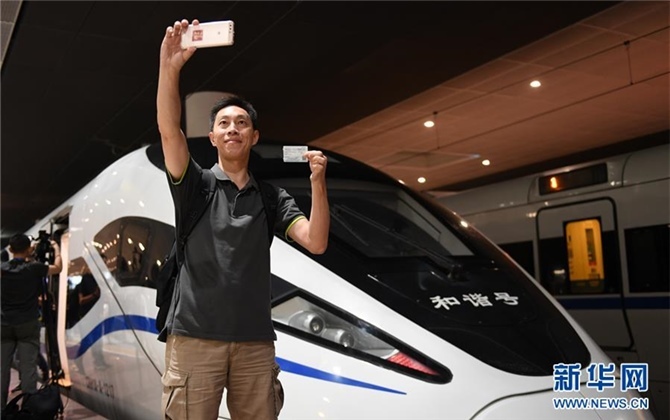 Digital media technology is an emerging industry in Changsha, which has played an important role in boosting the local media industry and even in upgrading traditional industries like fireworks. Liuyang, a county-level city in Changsha, is a globally renowned fireworks producer. Local companies are using the latest digital technologies to lend a modern touch to this ancient industry, which is more than 1,400 years old. During the 13th Liuyang International Fireworks Festival in early November, event organizers used digital technologies for the fireworks show at the opening ceremony, featuring novel stage settings, patterns and dynamic and vibrant presentations. 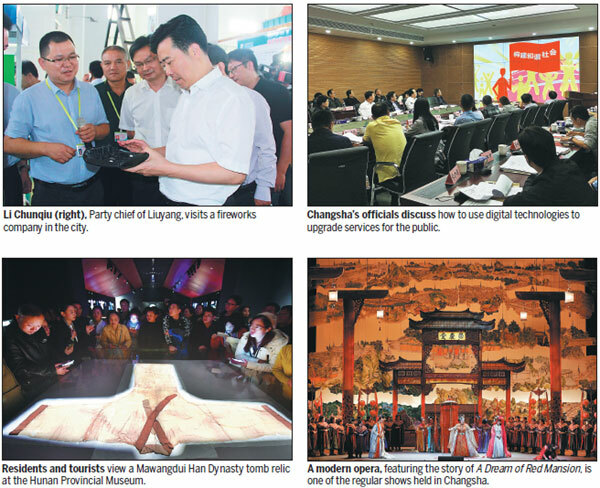 "The use of digital media technologies has greatly enriched our performances during the festival," said Chang Qing, deputy general manager of local fireworks company Minghe. "It makes it possible for us to meet the aesthetic demands of the audience by fully satisfying their visual and auditory senses," Chang added. The use of new technologies has further pushed Liuyang's fireworks industry to the forefront of the world's stage. The city's enterprises have set nine ISO standards for the international industry, according to Li Chunqiu, Party chief of Liuyang. The Meixihu area in Changsha has attracted a great number of cultural creativity businesses.